They may not be fully aware of the impact they have on our lives, but dogs really do have the power to change our world for the better. When it comes to relationships and love, your dog can help you in various situations throughout the years. 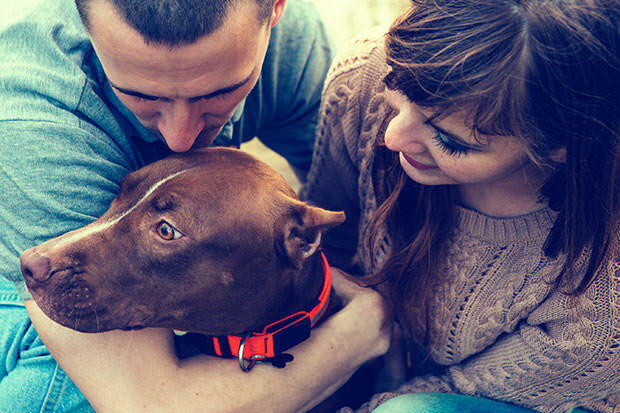 To begin with, your dog can help you meet your future significant other. There’s nothing quite as charming as seeing someone with their four-legged best friend. Plus, dogs are an excellent conversation starter. You can always approach someone you like and ask them something about their dog and they will gladly answer all your questions. Besides, it’s always easier to date a person who already has and loves dogs than someone who can’t stand your furry friend. Even if you don’t meet the love of your life in a dog park, chances are that you will make some great new friends and that definitely counts for something. If you already have that someone special, getting a dog can be an excellent way to see if you are ready to become a parent. Like babies, dogs require a lot of time, patience, and money, but they aren’t as demanding as tiny humans. If you can easily handle a dog, maybe it’s time to think about expanding your family. Parents will also greatly benefit from the presence of a dog in the household, seeing as pooches can teach kids valuable lessons about responsibility and taking care of another living being. They will also have the best play buddy ever, meaning you and your partner will have some time to dedicate to yourselves. And when the time comes for your kids to leave the nest, your dog will keep loneliness at bay and shower you with affection at all times. You will still have someone to look after and your house won’t be empty. Has your dog helped you with your relationships? Leave us a comment below and tell us what you think!